Today's post features another installment for the natural hair website, KinkyCurlyCoilyMe. 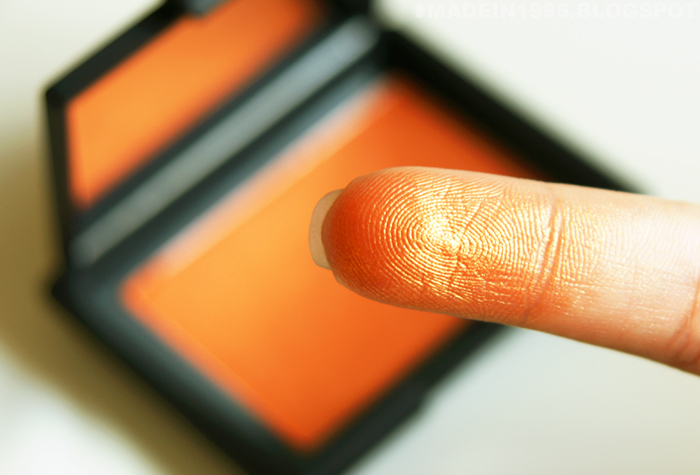 A few weeks ago, I had the great opportunity to review the infamous NARS Taj Mahal blush. This blush is one of the most popular by the brand and is known as being a must-have for women of color. After receiving the blush, I used it for a couple of weeks to give a thorough and complete review. To see my final review, click here. All of my previous posts are here. Thanks for checking out my blog Chantel. This color is TRULY amazing. i love what you've done with the blog!! LOL! Girl, you are silly. It is $28 though... LOL. My thoughts exactly. It definitely has become mine too! Thanks for stopping by Jen!